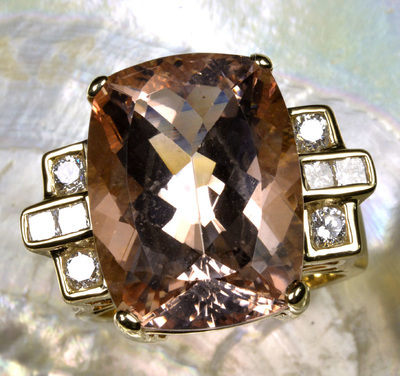 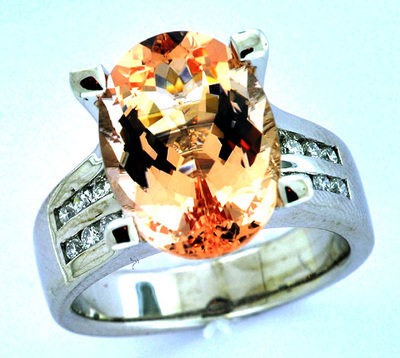 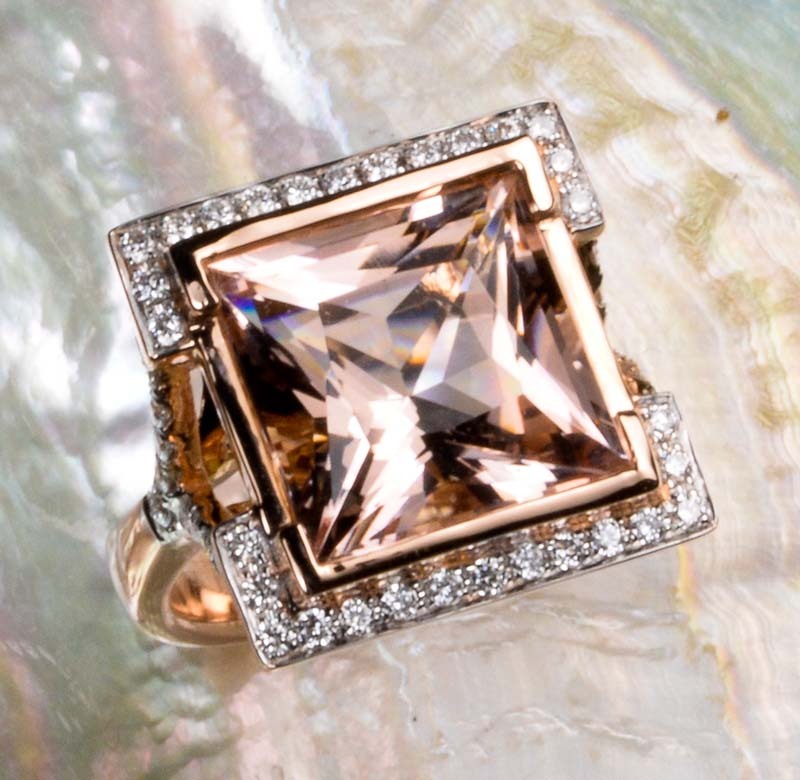 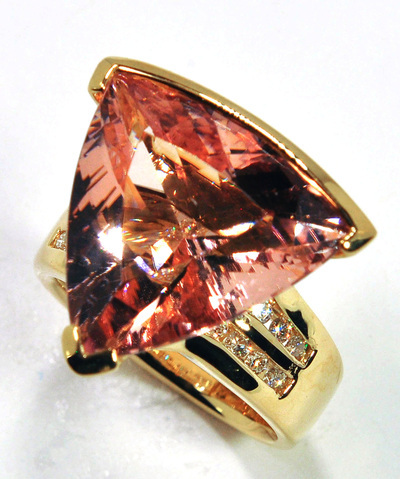 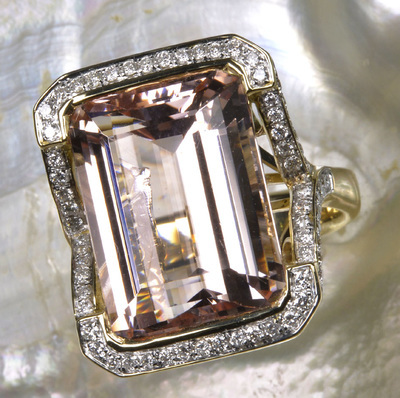 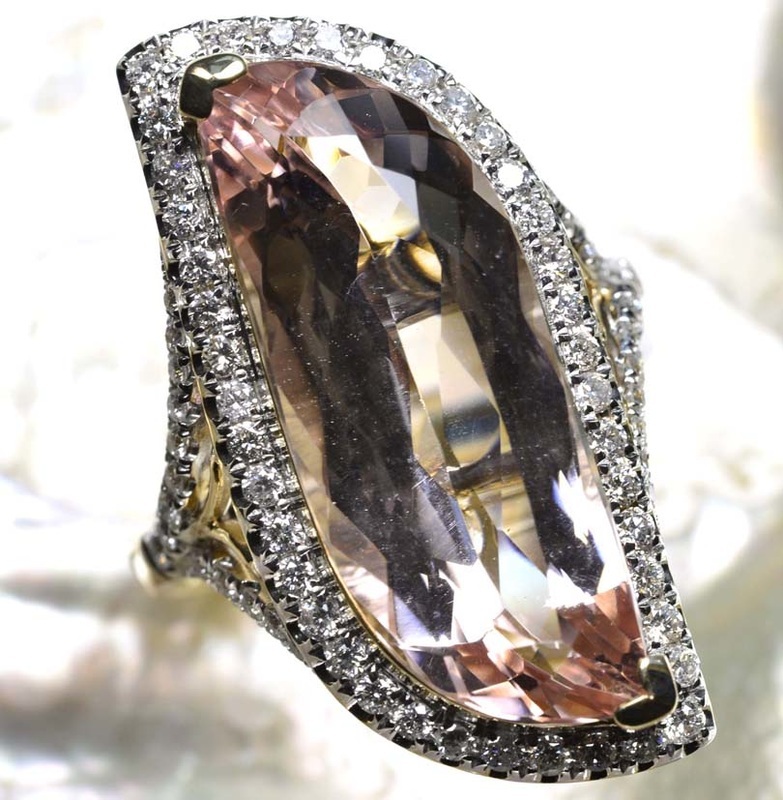 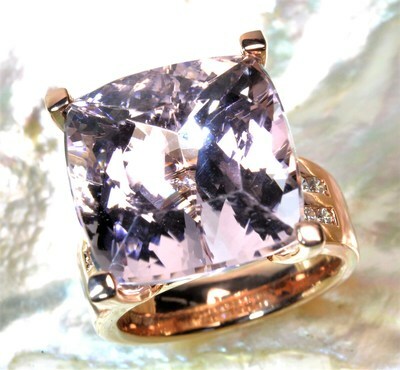 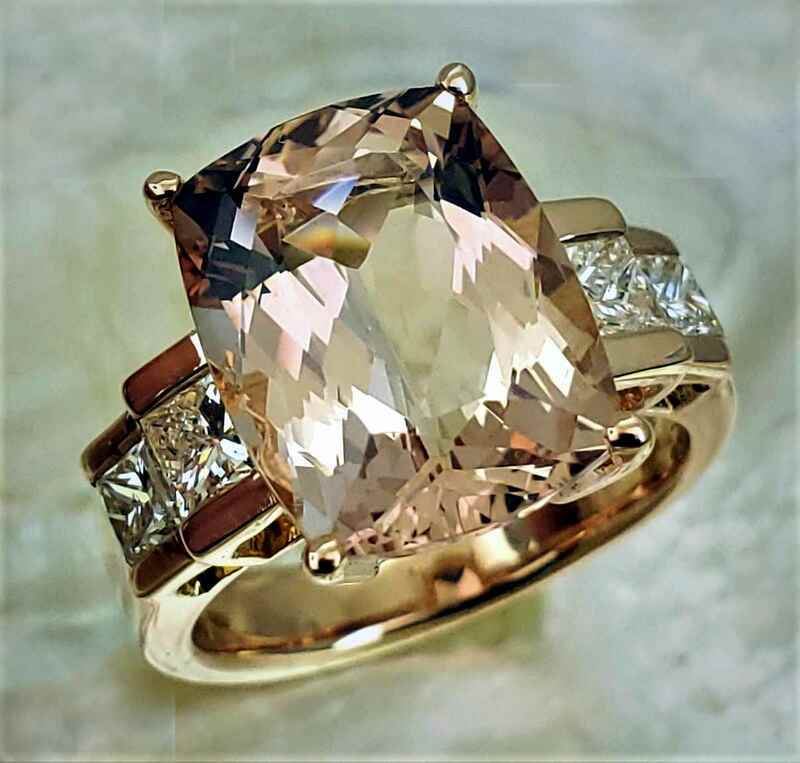 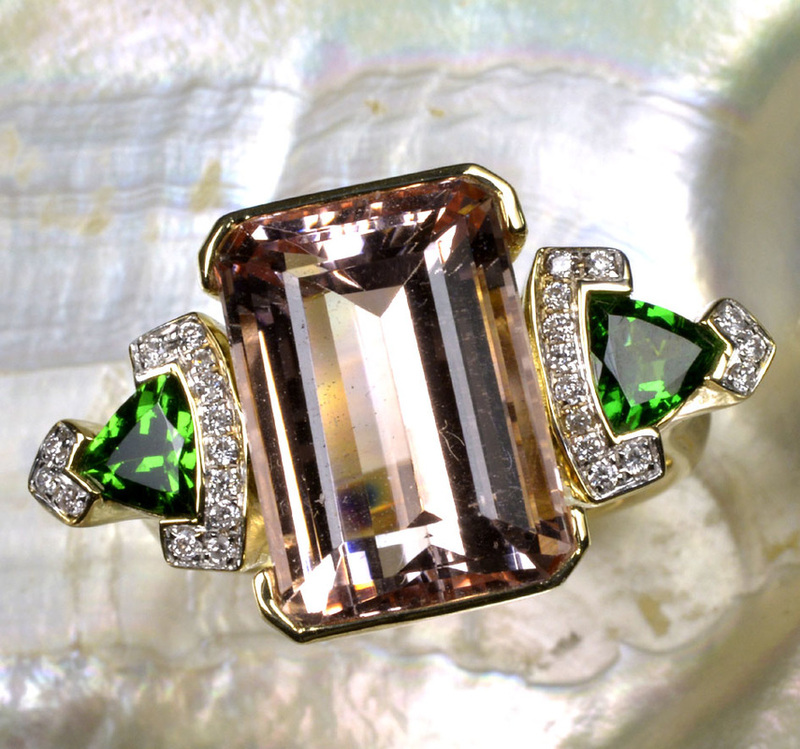 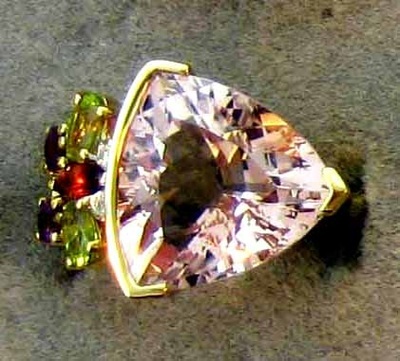 Morganite is a member of the beryl family, along side it's more famous cousins Emerald and Aquamarine. It has risen in popularity lately, prized for its delicate pastel blush pink colors. 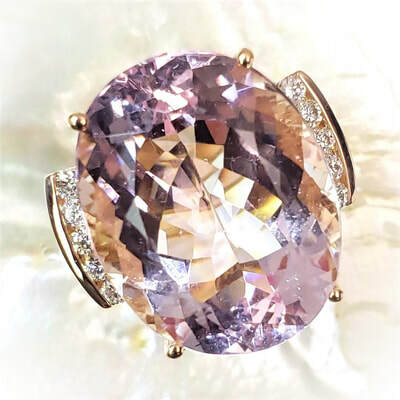 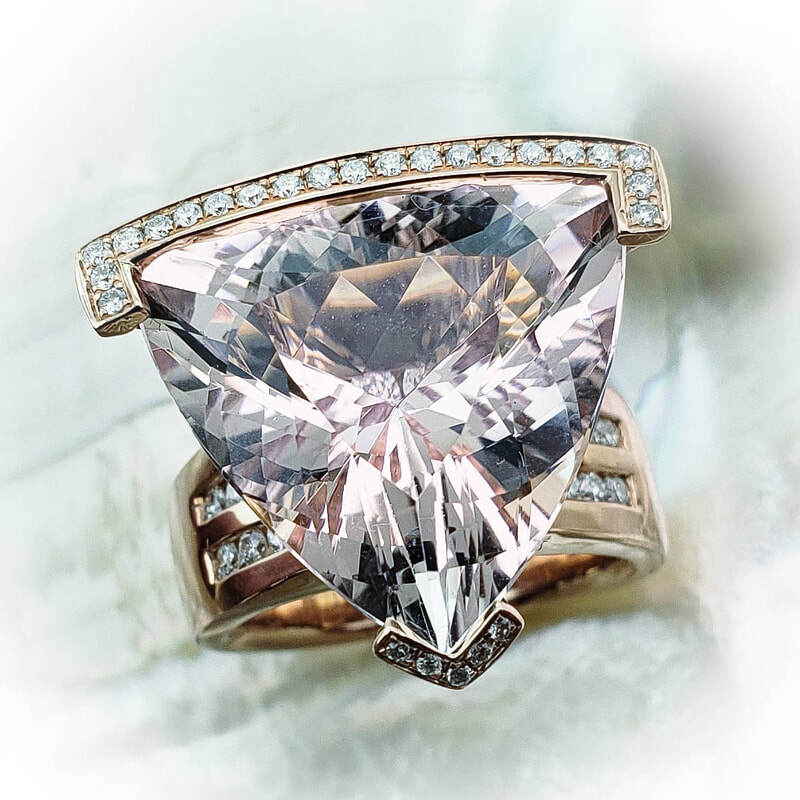 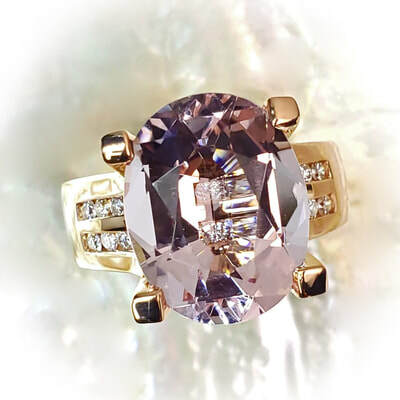 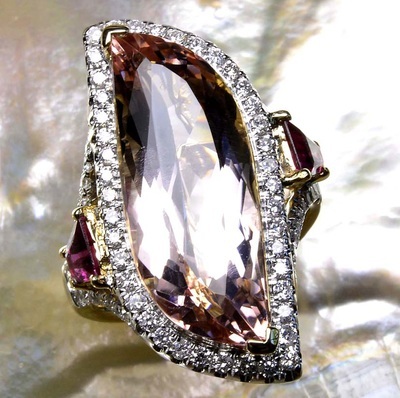 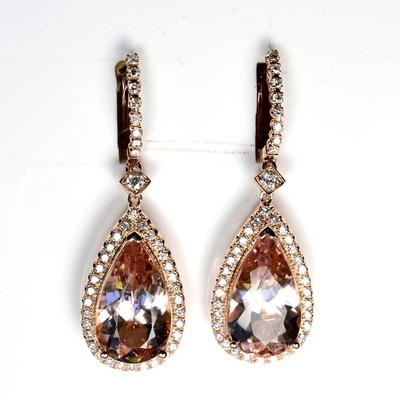 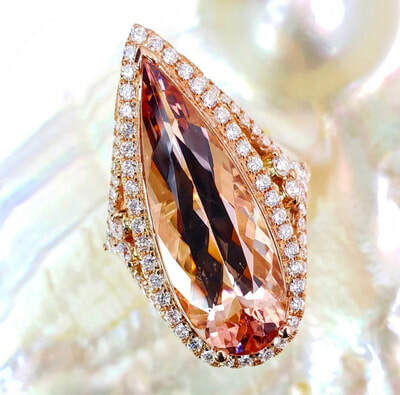 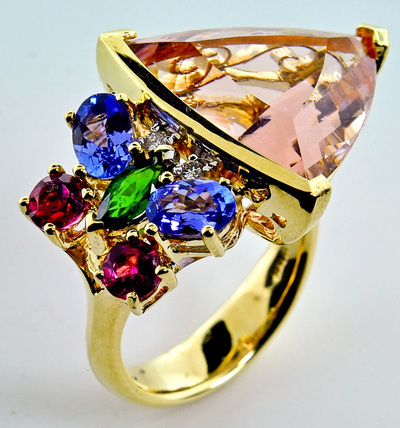 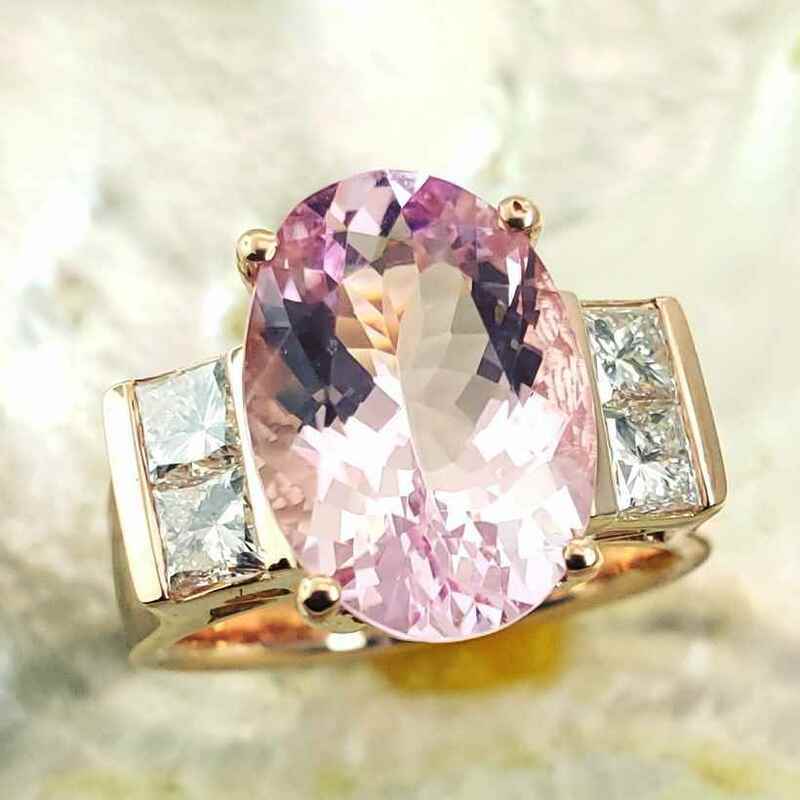 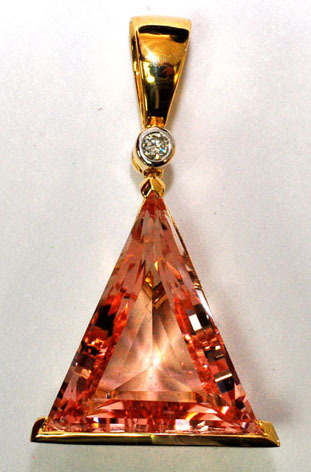 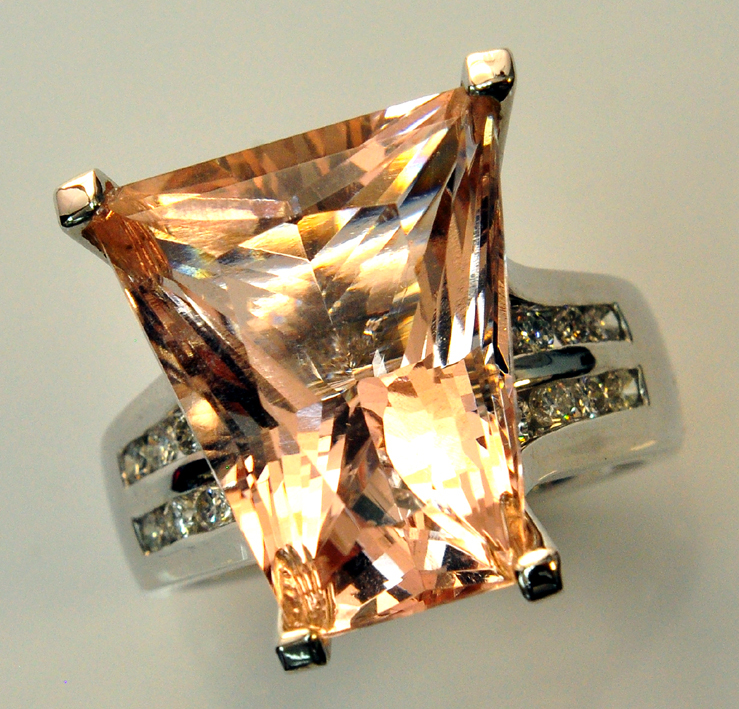 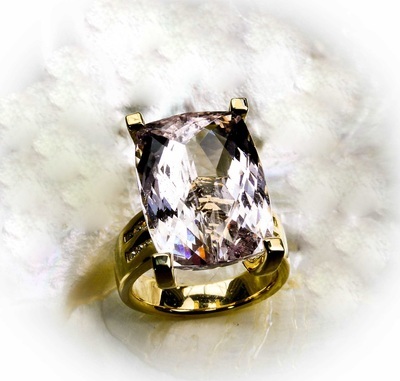 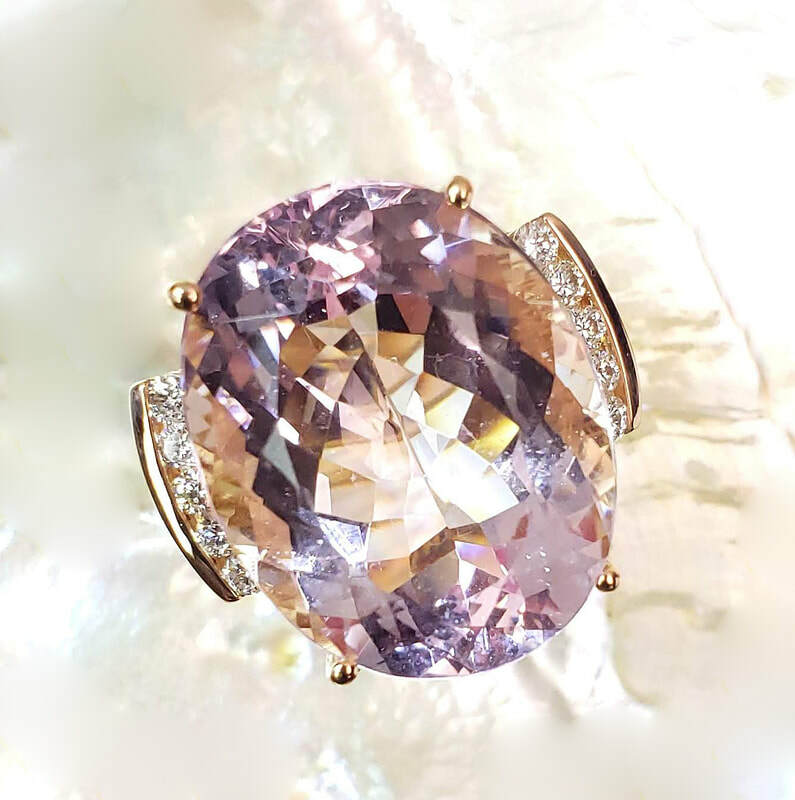 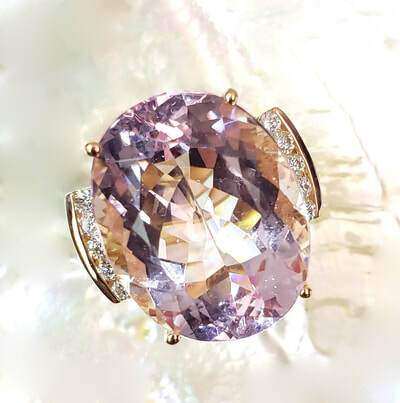 The colors of Morganite range from lilac purplish pink, champagne blush pink, to a peach pink color. It is quite a strong stone, with a hardness of 7.5 -8 on the Mohs scale of hardness. 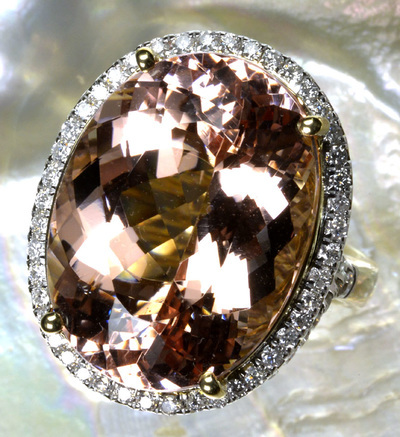 Little known fact - Morganite is named after legendary financier J.P. Morgan.